I'm setting up all of my clients with Intel NUC servers which I intended to get them to run Snakeoil on. These mini PC's are probably the best possible platform for Snakeoil. 1 client just bought one and I'm helping him get Snakeoil running on it. However we discovered that intel discontinued legacy boot support on the latest NUC firmwares. So no way to get Snakeoil to boot. Seems like this is the way everyone is going. Same problem with my Superstream computer. If Snakeoil was UEFI boot compatible, it would be able to run on all modern computers. Do you think this is something you will be able to get going? You can see here it won't be long before Legacy BIOS doesn't work on any computer. (25-Nov-2018, 03:13 AM) Mivera Wrote: You can see here it won't be long before Legacy BIOS doesn't work on any computer. All my computers that do UEFI works on the Blind Testing ISO. I suspect this is because my UEFI supports emulating the ISO as a CDR. 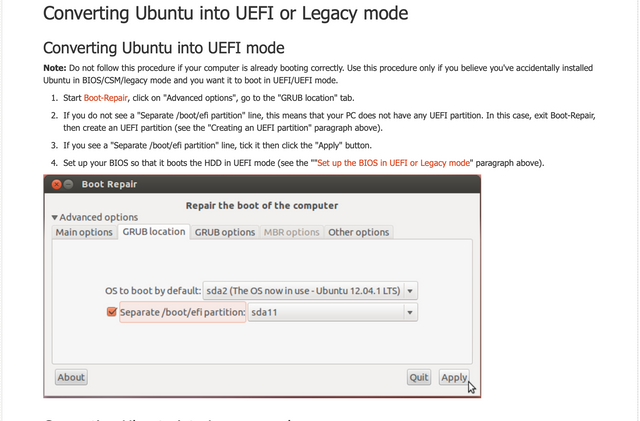 Newer UEFI may be different, and that is when this ISO wouldn't work. Without this hardware I have nothing to go on unfortunately. Will have to cross that bridge when we come to it. UEFI vs BIOS is like IPv6 vs IPv4. The newer technologies are so much better, but there really isn't any motivation to move forward despite support from the big boys. Moving to pure IPv6 stack is next to impossible. Transition to UEFI should be easier I think. (25-Nov-2018, 07:55 AM) agent_kith Wrote: All my computers that do UEFI works on the Blind Testing ISO. I suspect this is because my UEFI supports emulating the ISO as a CDR. Newer UEFI may be different, and that is when this ISO wouldn't work. Without this hardware I have nothing to go on unfortunately. It's too bad it's so difficult. Because it won't be long before Snakeoil won't run on any computers. I have been running UEFI boot for about 10 years. It's fairly mature technology now. (25-Nov-2018, 08:22 AM) Mivera Wrote: It's too bad it's so difficult. Because it won't be long before Snakeoil won't run on any computers. I have been running UEFI boot for about 10 years. It's fairly mature technology now. So is IPv6 but Android don't support it fully. Seriously though although I'm not using UEFI in my main rig, almost all my other computers already do UEFI, I can also create a UEFI virtual machine and Blind Testing 1.1.0 all works.. (1.0.0 don't work though as I forgot to include the files to make UEFI boot possible ). The UEFI must allow unsecure/unsigned ISOs to boot. The advantage of Snakeoil is it's not locked down in anyway. A trick you can do is to install Snakeoil on a BIOS machine, then bring the SSD over to your UEFI computer, and do a repair to convert it to UEFI. See this article. For this to work, you'd still need criteria #2 (the same article will describe how to disable secure boot). There may be a time when computers have secure boot turned on. Just have to see what happens then. I will play around some more. I spent a couple weeks trying already for the Minnowboard with no luck. It seems like if RUFUS doesn't recognize it as UEFI bootable, either does the computer. I have tried with Secure boot off as well. I'm going to try the trick in the screenshot. How do I get to this in Snakeoil? (25-Nov-2018, 09:18 AM) Mivera Wrote: I will play around some more. I spent a couple weeks trying already for the Minnowboard with no luck. It seems like if RUFUS doesn't recognize it as UEFI bootable, either does the computer. May be wrong here. But the trick is to create this as a normal ISO. Your computer's UEFI will see this USB stick as a CD-ROM and proceed to boot on there. What you describe may well be a re-authoring of the ISO to convert that into a UEFI boot disk? (25-Nov-2018, 09:18 AM) Mivera Wrote: I'm going to try the trick in the screenshot. How do I get to this in Snakeoil? You have to install Snakeoil on a BIOS computer, then unplug that drive and connect to your Minnowboard. Then boot up a normal Ubunutu ISO and go into rescue mode.